Truman State fully supports student initiatives and educational opportunities for students to learn through experience. This is of course also embraced when it comes to teaching sustainability principles. Communiversity Garden: An organization run by students where vegetables are grown on campus for use in the community. The Compost Project: Students work closely with Sodexo, our dining services company across campus, to collect any leftovers and scraps to take to the University Farm for composting. ECO (Environmental Campus Organization): A student-led organization that focuses of creating awareness of sustainability problems, working on new sustainability initiatives, and campaigning for organizational changes. Health Awareness: A capstone course for the Health and Exercise Science Department focuses on getting students engaged in creating positive awareness of health related issues in the campus community. Past projects have included: Oral Health in the Community, Sexual Assault Awareness Week, NEMO Heart Health, Sleep Awareness Week and Disabilities Awareness Week. Rain Garden: An area on campus dedicated to growing plants that will help control the flow of runoff rain water that has been polluting a local stream. Rot Riders: Similar to the Compost Project, students take leftover scraps from homes in the community using bicycles and compost them at the University Farm. Student Senate: Truman’s Student Senate has been very active in tackling sustainability focused issued, and recently has teamed up with ECO in trying to get a Sustainability Fee passed that will help create a budget for future Sustainability projects. Sustainability Learning Community: Established in 2014 within the BNB residence hall, students have the opportunity to live in an inclusive community that allows for an open dialogue on what sustainability means to them, and how to best implement it into their lifestyles. In addition to these opportunities for students to get involved, students also work to improve campus on an individual basis. As a capstone requirement for the Environmental Studies Minor, each student receiving the minor must complete a project outside of class. This could be an internship, volunteer work, or another kind of project on campus. One requirement for the project is that it must have a local or on campus beneficiary. 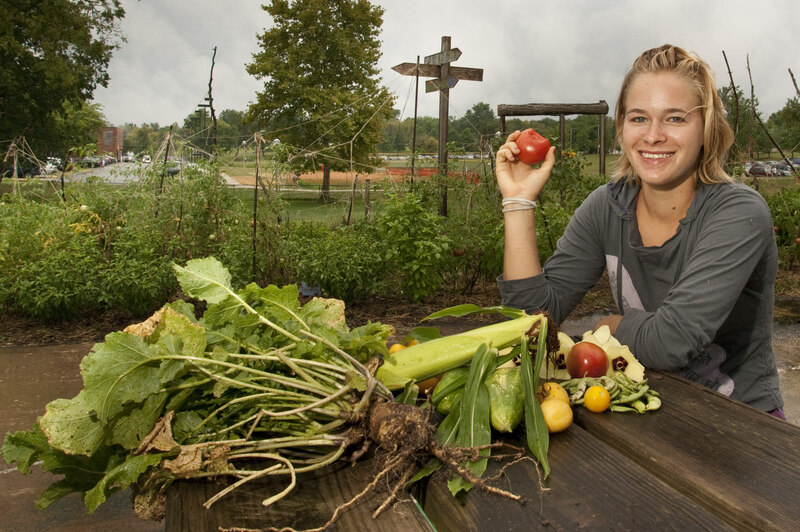 Over the years, these students have implemented lasting projects to improve our environmental impact, enhance student well-being, and conduct research studies on various aspects of sustainability in the community and on campus. For more information about the ENVS capstone project, click here. Truman State University is proud to pioneer classes that root students’ learning experience in service, both on campus and in the local and state community, and beyond. This is manifested in the course ENVS 380 – Grassroots Environmentalism. This course is a service-learning, student-initiated, and student-run course which has the stated goal of transforming knowledge of environmental issues.